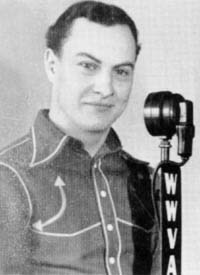 Bill was a member of the famed WWVA Jamboree back in the 1940s. They said he yodeled "...sweet, high and long." As a matter of fact, they said that in February 1941, he set a new record for a long yodel.